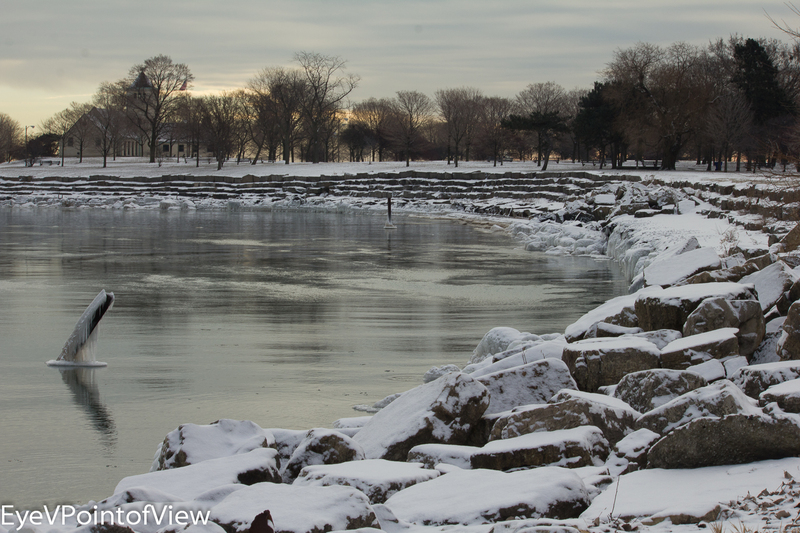 I promised myself at least one day during the holiday break where I took a photo walk along the lakefront. The day after Christmas presented an opportunity for that photo walk. There was only a little snow on the ground, just enough to provide contrast against the winter brown, but not so much that it made it difficult to capture images in a snowy background. Not only that, I figured there would be ice formations as well, where the lake washed over rocks on the beach and objects stuck in the bottom of the lake. 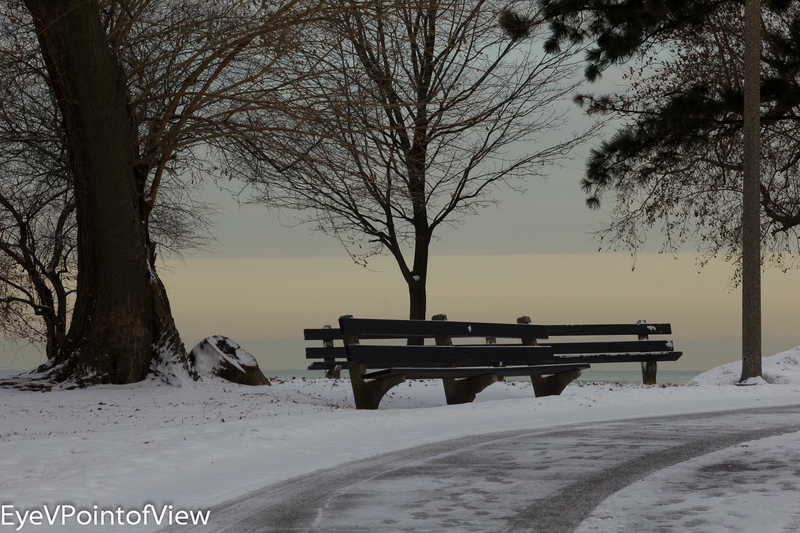 Winter On the Point – Promontory Point is always a beautiful spot on the waterfront along South Lake Shore Drive (ask Mellody Hobson – she chose it for her Chicago reception celebrating her marriage to George Lucas last June). See that icy structure protruding from the lake? At first I focused on that, then I stepped back, looked up and saw this! You can see the reflection of the metal structure, as well as the trees on the icy lake. (I’ll need to work further on the protruding ice structure image, so look for another version of it in a future posting!) The limestone blocks accented by the light blanket of snow provide a nice foreground. 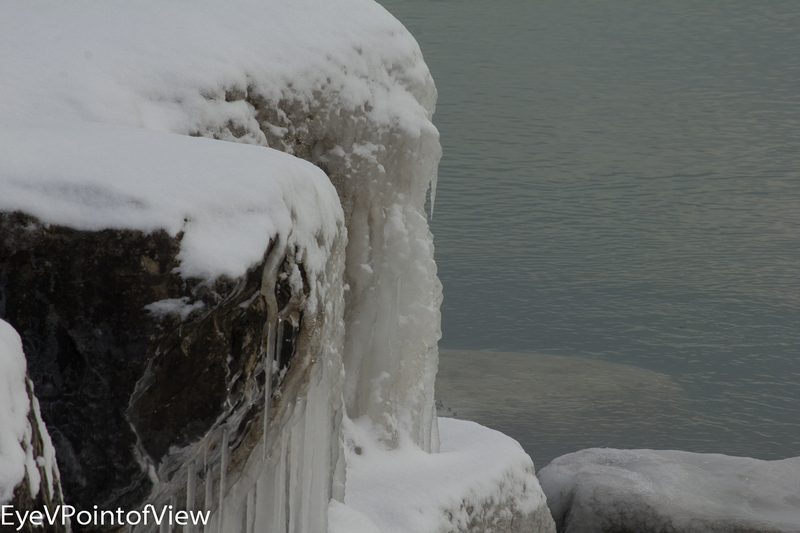 Iced Over #1 – When the lake splashes over the rocks again and again, interesting ice structures can form. I liked this image because you can see the icicles hanging off the rocks, and blocks of ice submerged in the lake. 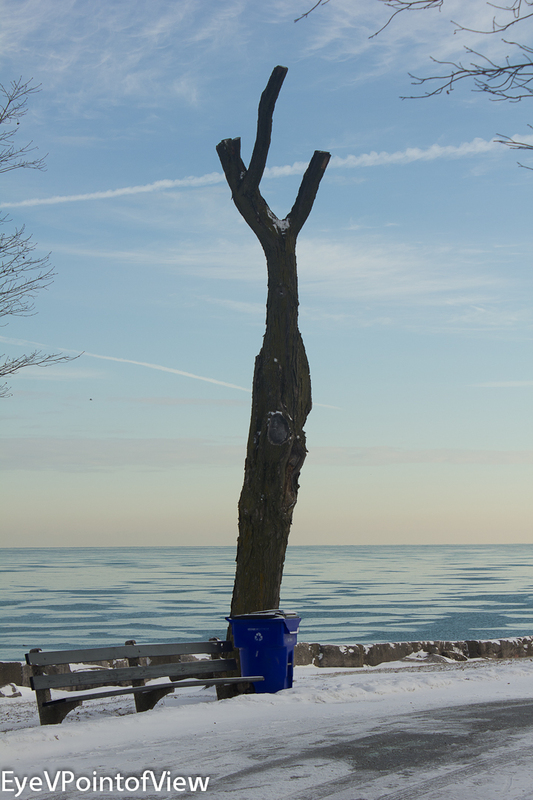 Reaching for the Sky – the Chicago Park District has done a great job reclaiming trees for art structures along the lakefront parks, and this tree is great example. Every time I look at it, I think of a person (usually a woman) reaching for the sky. In this shot, I love the blue sky, and the blue reflections of Lake Michigan (next time I will even move the recycle bin, or figure out how to remove it electronically!). I actually had two shots of this tree, but it was seeing the blue lake that won me over. The Path – This was probably the last shot of the day. As I rounded The Point, I turned around and looked at the trees making lining the pathway. It is amazing what you see when you look around! Iced Over #2 — The snow on the rocks almost looks like frosting on a piece of cake. 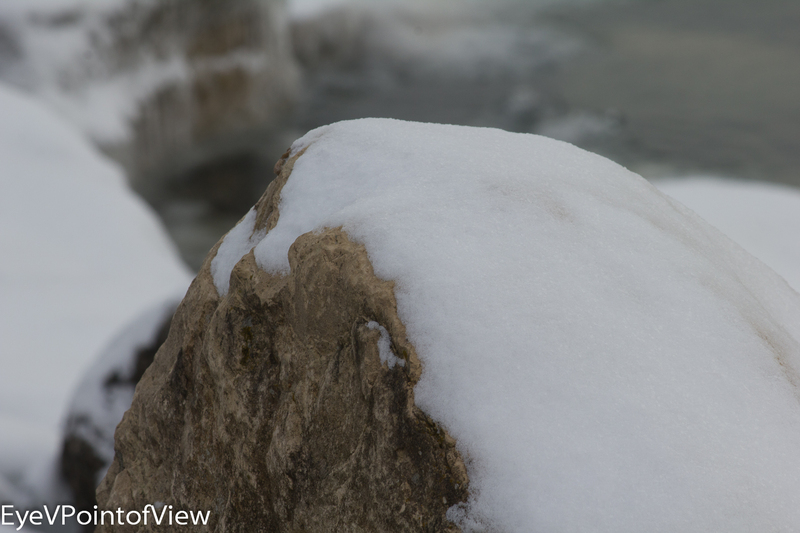 I love the texture you see on the rock, and the blurred background images of iced rooks and water. The icy structures indicate that it has been windy out – maybe next time, I will see surfers! In the meantime, enjoy these 5* pix! love the path and the tree reaching one. all are very pretty for winter scenes!